Floating wind power soon to be off the French coast ! 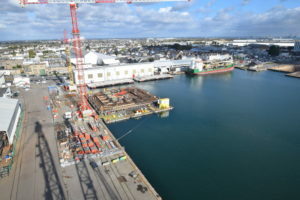 Floatgen construction has begun in the port of Nantes – Saint-Nazaire, and the demonstrator of this emerging technology will be installed at the Sem-Rev in spring. The project, supported by a consortium that manages the innovative startup Ideol, heralds the emergence of a new industrial sector and is already mobilising local actors. On June 1st last, the construction of the Floatgen was officially launched. It will be the first offshore wind turbine – and also the first floating wind turbine – in France. 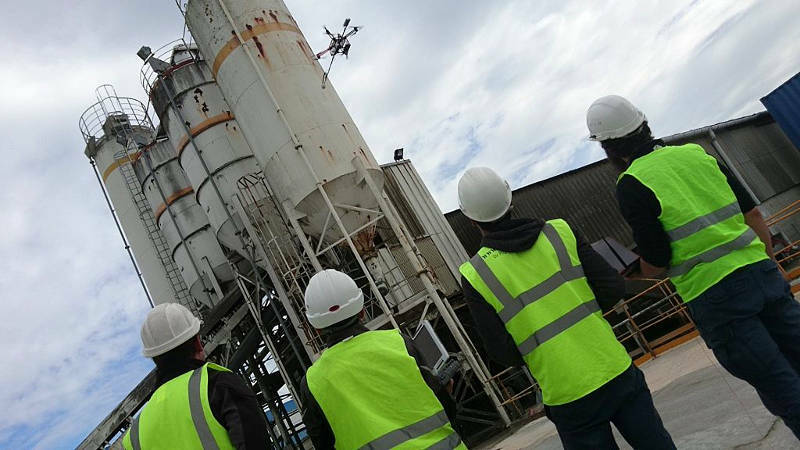 Launched in 2013 and co-funded by the European Union and the French Future Investment Program, this ambitious project is led by a consortium that includes in particular the Ecole Centrale de Nantes, Bouygues Travaux Publics and Ideol as the project leader. 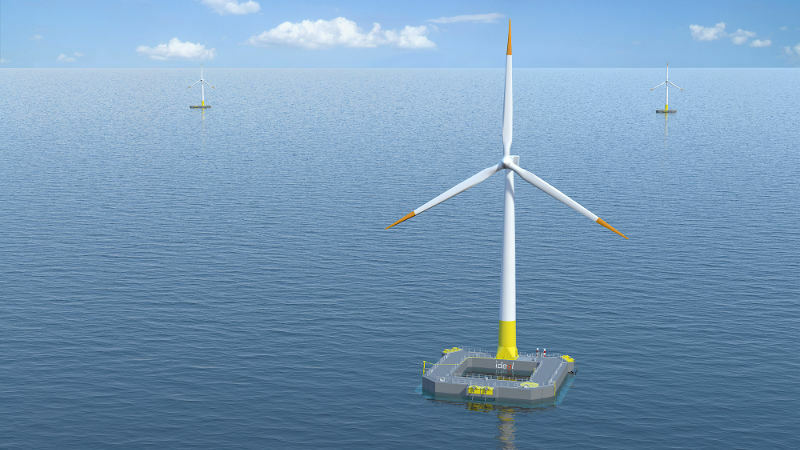 Created in 2010, this start-up is one of the global pioneers of floating wind power. The company developed the “damping pool”, a patented floating foundation concept. The square ring shape with a hollow in the middle (like a buoy), provides optimum float stabilisation, but also allows the use of concrete as the main material. This system, which is a real technological breakthrough, has also been selected for the four turbines of the Gruissan pilot farm (EOLMED project) and two demonstrators in Japan. “The Ideol Technology will be the first in the world to be located at three sites by the beginning of 2018 and there will be at least seven units by 2020,” said Paul de la Gueriviere, CEO of this company whose staff has been doubling every year. The Floatgen project began with the objective to validate the operation of floating wind power. 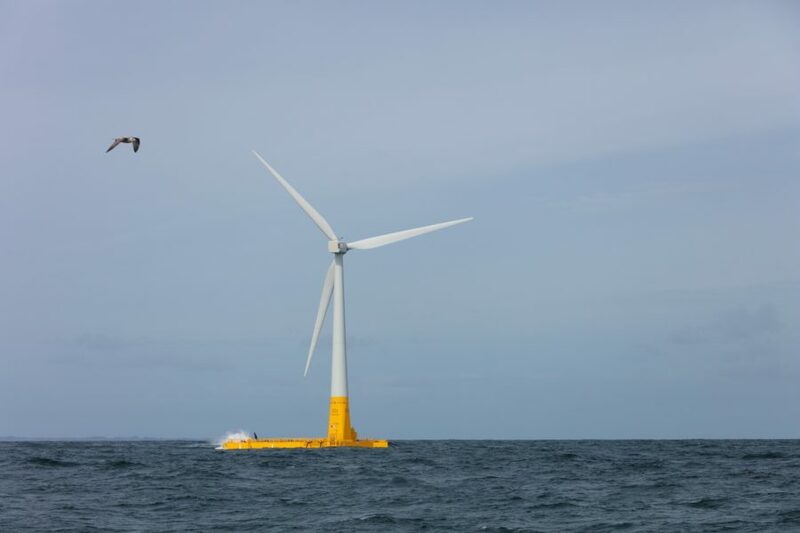 The consortium thus chose to set up the wind turbine in the Atlantic to put the foundation to the veritable testing under particularly harsh weather conditions. “Today we know that there is no reliability problem; it is however the beginning of a new industry,” said Paul de la Gueriviere. “The demonstrator will be at sea for at least two years and will provide the initial feedback to improve the construction and installation methods.” The objective is now to refine the cost analysis before the commercialisation phase in 2025. In early September, Bouygues Travaux Publics started the foundation construction work in the port of Nantes – Saint-Nazaire. This will be completed by next spring, and then the foundation will be equipped with a 2 MW Vestas wind turbine then towed to sea for installation at the Sem-Rev test site where the water depth is at least 33 metres. Meanwhile, the site will have been prepared by the Ecole Centrale de Nantes. 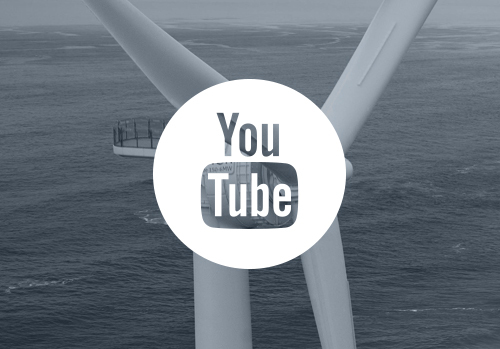 “In 2015, we installed the dynamic connection cable between the wind turbine and our Hub and it is ready to be connected. We now also have the components of the anchoring system and these will be pre-installed on the site,” explains Christian Berhault, director of Sem-Rev. Ideol and its partner Bouygues Travaux Publics chose the Pays de la Loire to build the foundation close to the installation site and the Ecole Centrale de Nantes. 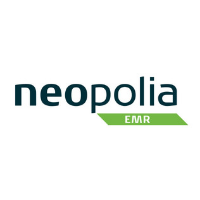 Neopolia EMR assisted in identifying local skill sets and to ensure the relationships with the contractors.